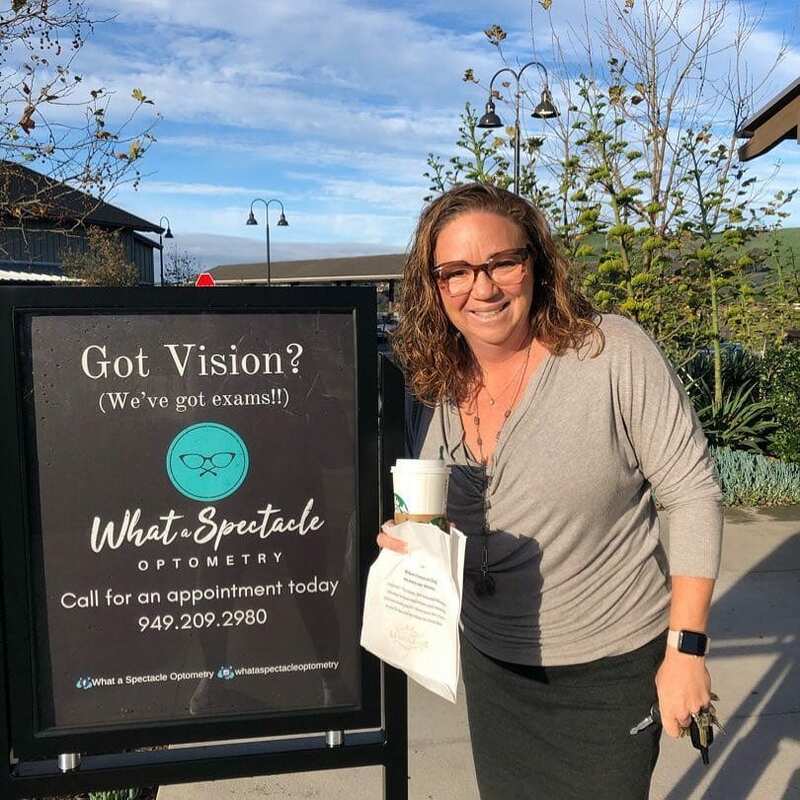 THE CAPISTRANO DISPATCH, RANCHO MISSION VIEJO, CA – What a Spectacle Optometry, the newest addition to Sendero Marketplace, is the first optometrist to open in Rancho Mission Viejo (RMV). Owner Dr. Michelle Ahumada and her staff will be celebrating with a grand opening on Thursday, March 28. The night will begin with a ribbon-cutting ceremony by the San Juan Capistrano Chamber of Commerce, followed by a selection of hors d’oeuvres, wine and charcuterie. The evening will also include a raffle giveaway of three eyeglass frames, a pair of prescription lenses, and donations from In-N-Out, Yogurtland, Nekter and others. “I’m really excited to meet people in the community and welcome friends and family to see what What a Spectacle is all about,” said Dr. Ahumada. What a Spectacle Optometry opened on January 20 and is Dr. Ahumada’s first private practice after 18 years of working in the optometry field. Her practice offers a full range of eye health examinations and treatment, including vision tests and LASIK treatment. The office also specializes in dry eye diagnosis and treatment. Dr. Ahumada was born and raised in San Juan Capistrano, where she attended St. Edwards Parish School and Santa Margarita Catholic High School. She went on to receive her degree from the Southern California School of Optometry at Marshall B. Ketchum University. What A Spectacle Optometry is open Monday through Wednesday from 8 a.m. to 5 p.m., Thursday from 10 a.m. to 7 p.m., and Friday from 8 a.m. to 5 p.m.